We’re thrilled to announce that we are launching a hub of new tools and features to the Klear Influencer CRM. 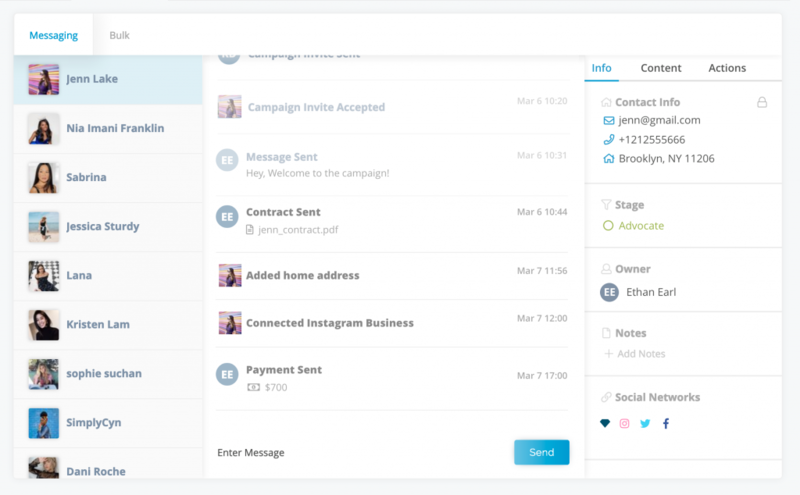 With the new Klear Connect, you can stay up-to-date on campaign progress and manage influencer relations. From onboarding to payments, your entire influencer workflow can be easily coordinated from within Klear. Not only is communication with influencers simplified with our new integrated chat service, but all the collateral that you and your influencers need to run a successful campaign will be easily located within your Connect conversations. That means, no more emails and no more excels, everything you need is right at your fingertips. The best element of the Connect suite is that it manages every aspect of your relationships, including the ability to track Instagram Stories. In 2018 Stories made up 1 of 3 influencer campaigns, and now with Klear you can receive insight reports on Stories to complete the 360-view of your campaign. It’s an easy process. 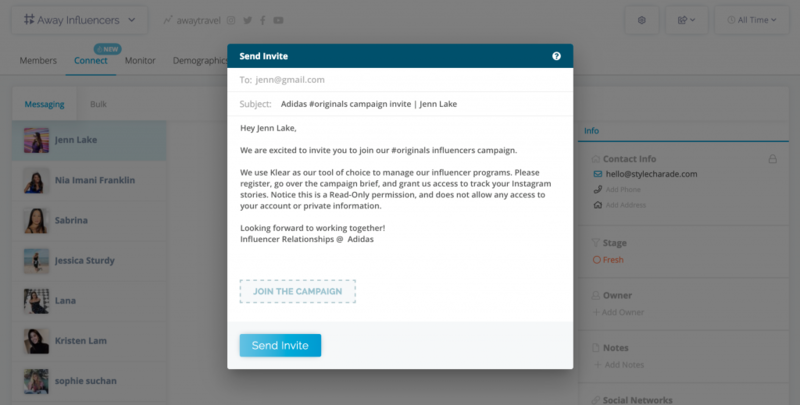 When onboarding, you can send an invitation to your influencer asking them to register with Klear and authenticate their Instagram account. After your influencer authenticates their account you will be able to monitor their Story activity with metrics like Unique Views and Engagement. With Connect, manual features are automated to improve your influencer relations. 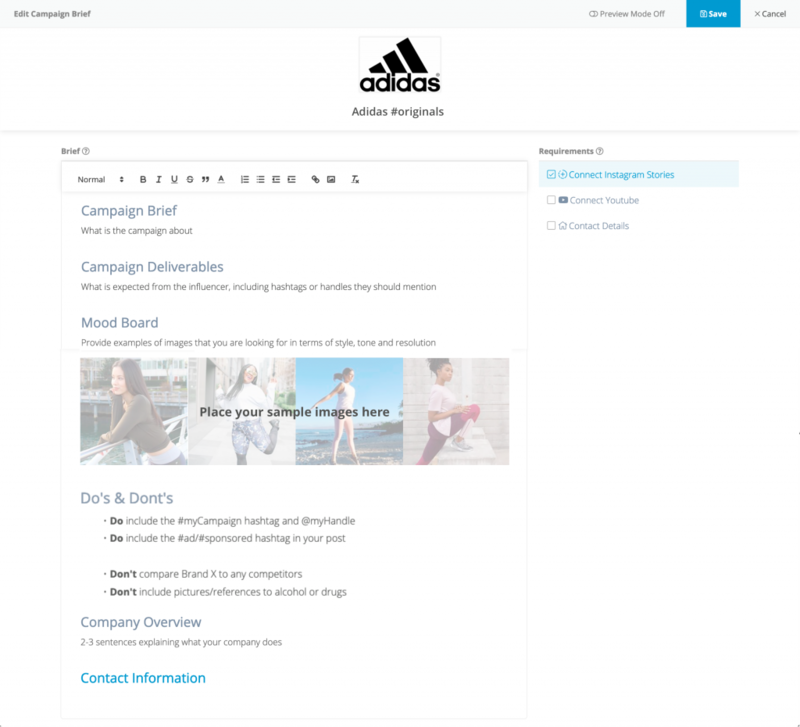 Whether it’s sending a campaign brief in bulk to a list of influencers you’re collaborating with, or brainstorming ideas with a single partner, everything can be done with ease and convenience within Klear. Build your brief to clearly outline your campaign objectives, expectations, guidelines and deliverables.